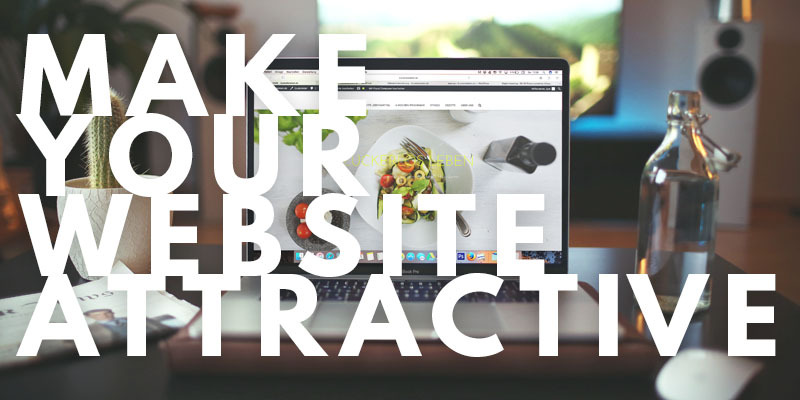 Make Your Website Attractive | Sharp Innovations Blog | Sharp Innovations, Inc.
As a result, the importance of having the most attractive Yellow Page ad is a thing of the past. Now, a successful business must try to develop a web site that attracts their consumers and shows how the business behind the ad is the best one to meet the customers’ needs. The first requirement of a successful website is that it must be easy to find, and to meet that criterion, the site must be one of the first to show up in the search results, preferably on the first page. That’s because most of us don’t scroll page after page searching for what we need. The web content must also be easily read, and the most important content must not require the user to scroll. Typically, a web user will only scroll through the pages of a site if she has a true interest in a company’s products or services. Then, when she establishes that interest, she will work through the entire site, seeking information and reviews to determine if a product or service will meet her needs. Technology has changed a lot in how we do business and attract our consumers. Web sites are our modern day Yellow Pages, and they provide a lot more details than printed pages provide to enable the consumer to gather the information needed to make important decisions. That’s why every business needs an attractive website, and for websites, attractive means looking good and much more. An attractive website is quick to load, it’s easy to view on mobile devices, and it presents its information in a logical, easy-to-follow manner. Your website is working for you 24/7/365, so be sure that you’re giving it all the tools necessary to turn prospects into paying customers. If your current site doesn’t meet all of the criteria that an attractive site must have, then it’s time to call Sharp Innovations for an update of your current site or for brand new site.